View More In Trees - Page 10. 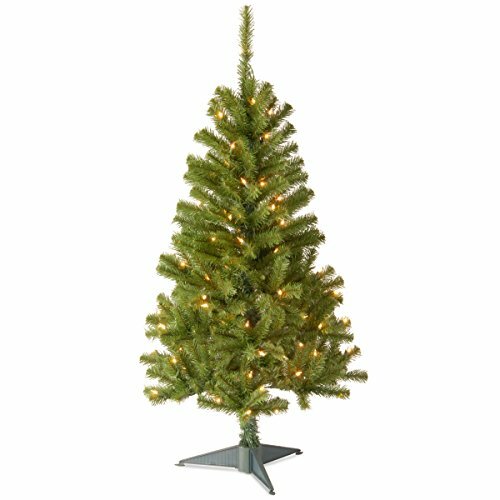 National Tree Canadian Grande Fir Wrapped Tree measures 4 ft. tall with 27" diameter. Pre-strung with 100 UL listed clear lights and has 230 branch tips. If one bulb burns out, others remain lit. Light string features BULB-LOCK to keep bulbs from falling out. Fire-resistant and non-allergenic. Indoor or covered outdoor use. Includes spare bulbs and fuses. Packed in reusable storage carton.